Parking is available around the plaza off King Street and behind the Trinity Episcopal Church on St. George St. The lot is free after 5 PM and all day Sunday. Occasionally parking is not available in this lot due to church functions. There is also parking available behind the Lightner Museum just a few blocks away. 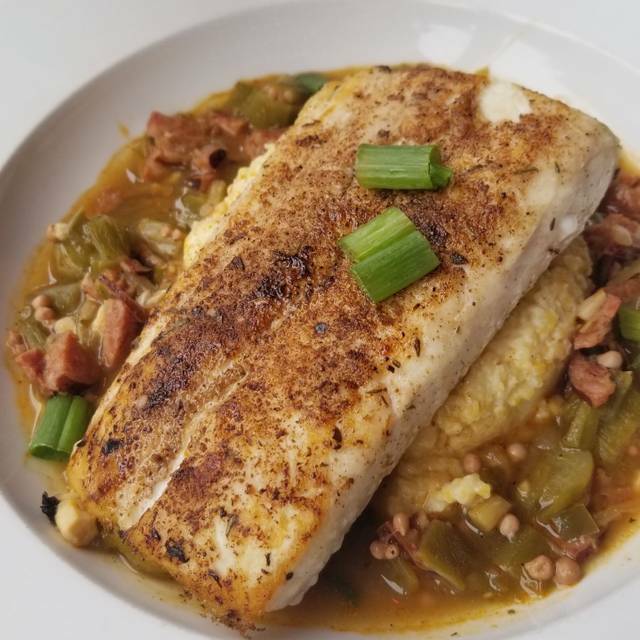 Created after the California Wine Bar trend back in 2008, our quaint family owned and operated restaurant serves St. Augustine’s only Urban Cuisine in a casual upscale environment. 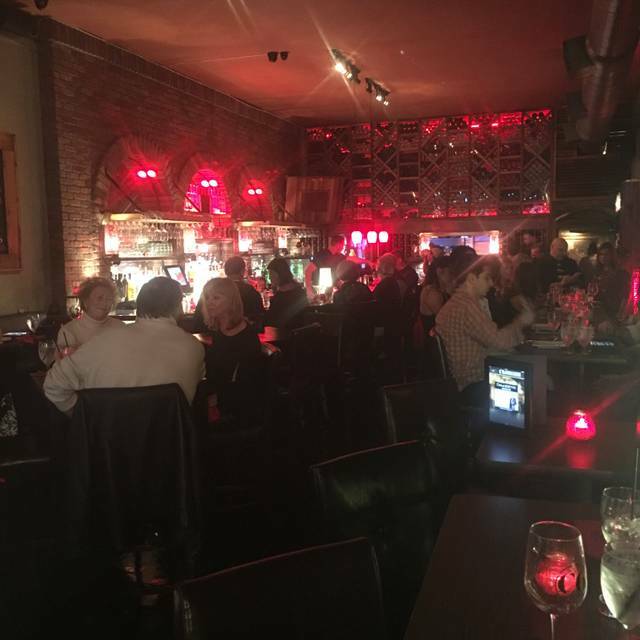 We started out as a cozy wine bar serving tapas to compliment the wine featuring local artists artwork displayed on our walls. Based on customers overwhelming response we evolved to be a full-service restaurant and bar. Original pieces of wood from a 100-year-old barn in Maryland trim the bar, entryway, and hallway keeping with the old-world feel of St. Augustine. Guests also enjoy the contemporary aspects of Cellar 6 including touches of modern lighting, chalkboard art work, and furnishings. 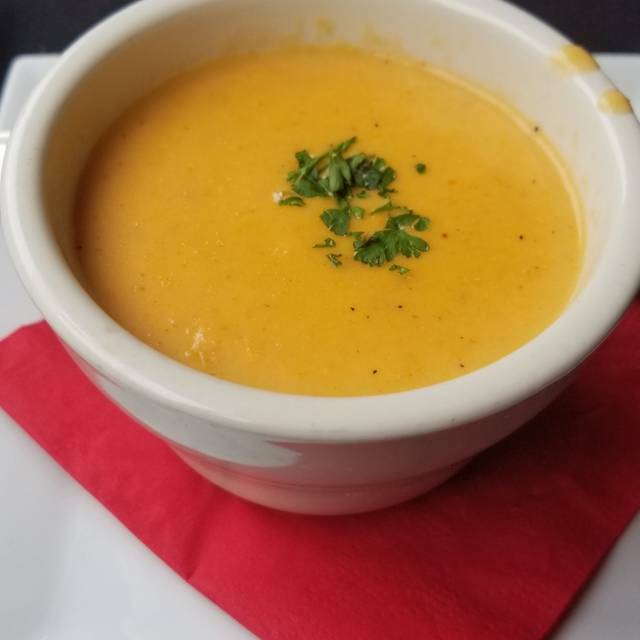 It is our goal at Cellar 6 to provide an inviting environment to enjoy dinner and conversations with those important to you with excellent service. Cellar 6 attracts the young and old, locals and tourists. The restaurant in open daily at 4:30 pm for dinner. Really great food and atmosphere & my old fashion was spot on. Will def b back. Thank you for a wonderful evening!! I understand that they are under new ownership, which is fine, however the menu shrunk and options reduced. Great experience. The wait staff and food get 5 stars. Great place, new owner. Very friendly, great food. If in St Augustine this is a must go for dinner. Excellent, Excellent Place! Food was awesome, great atmosphere!! Food was great and not too expensive. 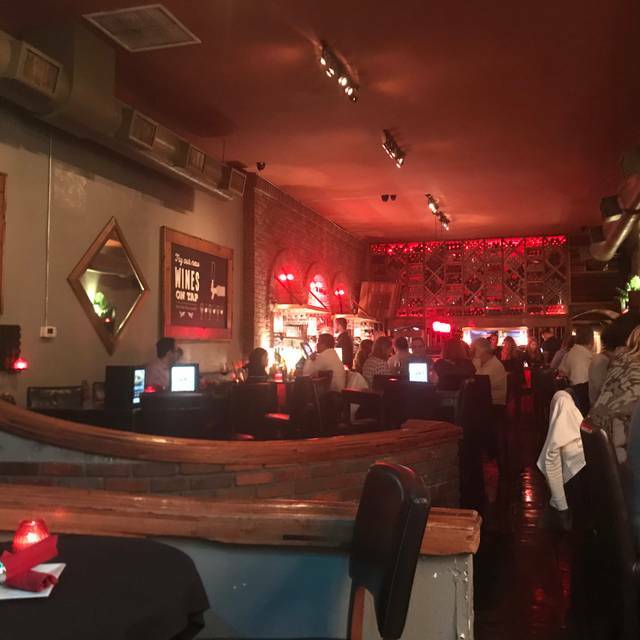 It is right in the heart of downtown with so many great bars to walk to after dinner. Service was stellar and my steak was cooked perfectly. Unexpected find, when we walked in a couple stopped us and said how amazing it was and made some reccomendations and WOW. Food was AMAZING, service was impeccable. Definitely would recommend. Food and drinks were very good. Waiter was very nice and helpful with selections. Cellar 6 never disappoints. 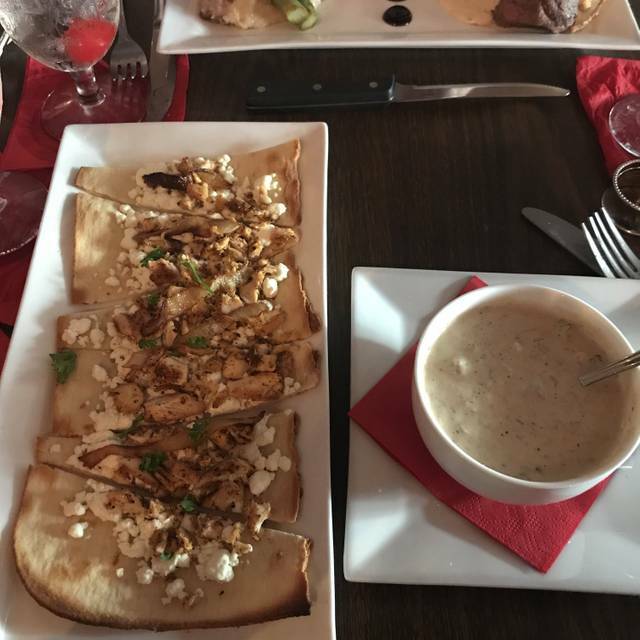 The food is amazing, the staff is friendly, and the atmosphere is perfect for a date night. great neighborhood restaurant...always pleasant service..
Quaint setting in Old Town St. Augustine. Unique menu offerings with a couple nice cocktail specials. The restaurant is very small and it was very loud. If the noise level were lower, the ambiance would have been much more enjoyable. The meals were delicious. Great place to have drinks and a bite. It was very loud. It was just my Husband and I and we could barely hear each other across our 2 top table. Not a good place if you are looking for something romantic. We found the menu to be more limiting than we expected. It was extremely loud and we didn't try to stay for dessert because we couldn't hear each other talk. Could not wait to leave. The food was good, and the staff was nice. Just too noisy for us. Amazing! We were here for a bachelorette part and loved trying the new drinks! Good fantastic! Had a nice dinner with good service. A few bumps, we were expecting a more extensive wine list and there were only 6 or so red wines. Generally entry level so the pricing was modest but we were in the mood for a nice wine. This wasn’t possible but not necessarily an issue other than what we had in mind. 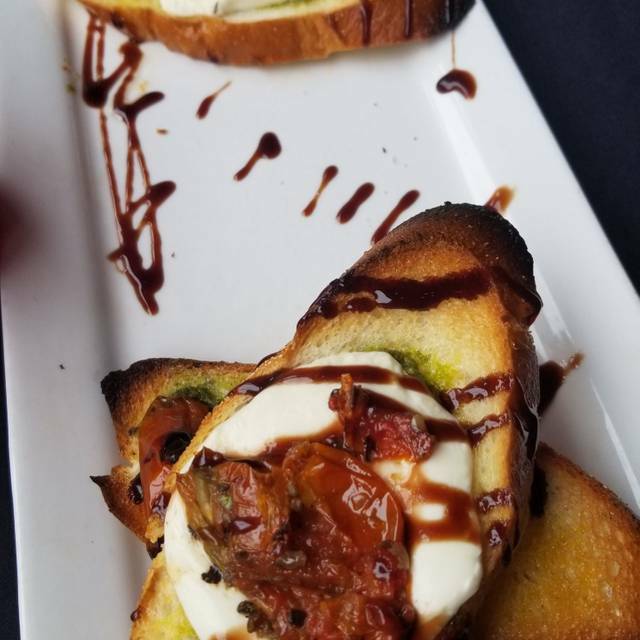 Also our app of bruschetta was changed to have feta (which I am not fond of) and was told they changed it a few months ago but the menu hadn’t been updated. We both had steaks which were totally solid and an excellent butter cake dessert. All in all I would say solid place to go for dinner. Great ambiance for a romantic dinner. The burger & fries and Chicken Beverly were both excellent. Service was prompt and polite. Very disappointing. This wasn't our first time, but the quality of the food was not that good this time. In addition , it appeared pricing went up from the last time we visited. $41 for Filet mignon, wasn't worth more then $25. The baked bree appetizer was very good. Overall I would not waste the money to go again. Food quality and service has gone down hill. appetizers are overpriced. Food was tasty but also overpriced. Ambiance and location are good. Cellar 6 must have gone under new management recently because it wasn't at all what I remembered from just a few years ago. They no longer have live music or those beautiful martinis which are no longer even on the menu. What happened to the trendy glowing menus? It's still a cool place but it definitely lost some of it's uniqueness. The host said they don't have music any longer due to complaints about the noise, however the noise level in there without the music of just everyone talking was pretty loud in itself. We probably won't be back since we can just have a better experience at the Tini Martini Bar on the Bayfront. Great atmosphere, great service and great food. Picked Cellar 6 for our anniversary dinner after some research and it was the perfect balance of casual and classy, exactly what we were looking for. We were passing through St. Augustine for the night. Found this restaurant on Open Table. The dood was very good. Nice atmosphere and service. Cost was way too much for St Augustine. Steaks cost less in Miami! You need plenty of time here. Service is slow, but we liked our waiter despite that. Better for a drink and appetizer. Of course, we were there on a Sat night which is busy everywhere. NOT thrilled about customers come out to smoke next to where we setted!!! The restaurant was not busy. Drinks were good and timely, however there were issues with 5 of the 6 dinners. All 5 were barely warm. It appeared the plates were prepared hours ago and the shrimp or scallops cooked and put on top. The general manager indicated he was having troubles staffing the chef position. His final quote was ‘ya win some, ya lose some’. First time there under new owner. 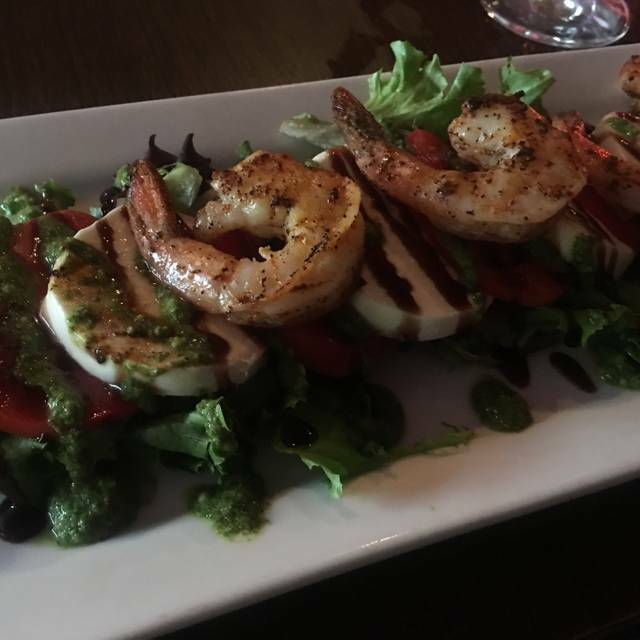 Service was excellent and the food as good in the past. Will definitely return in the future. Service was very good. As a namesake, “Cellar 6” I was disappointed in the wine list. I did not know wine came on tap. Flatbread appetizer was very good, House salad was exceptional. I had the shrimp & grits it had a kick to it, but it should. My date had the pasta with shrimp. He loved it. Steak over cooked, good Cesar salad, service was mediocre, wine selection was poor. It was just OK.
Service was excellent but the menu was unexciting and food was below par. We both had the chicken and it was dry and tough. I am not trying to be negative just constructive. The location is excellent. Give a better product. St Augustine is a busy place and there are plenty of places to eat. Just try harder. We visited cellar six back in December and everything was exceptional. However this time it seemed there was not enough staff to get drinks and orders out on time. Food was good but ambience and service not so much. We went there for Valentines Day and had an early reservation. We started with wine and the baked brie, which was divine. The raspberry compote they served over the brie enhanced it exponentially. For dinner I had the vegetable primavera. 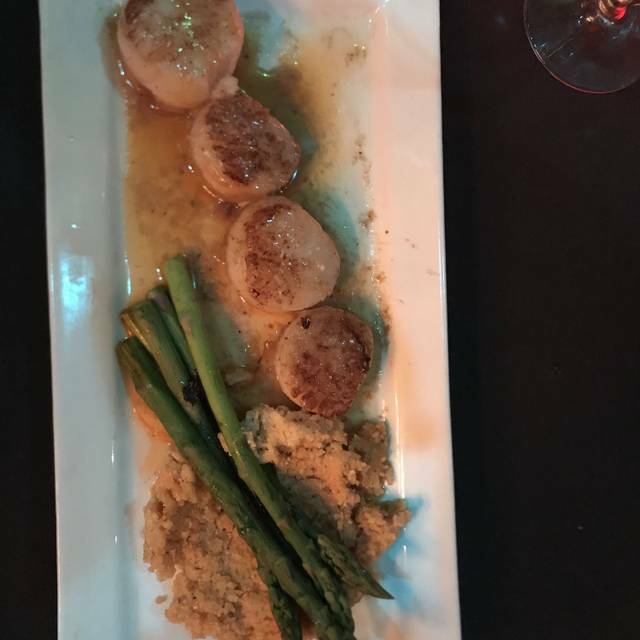 It was served with asparagus on top as I ordered it without meat. It was the best asparagus I have ever had; I don’t know what they did to make it so tender and flavorful. The pesto on the primavera was out of this world good. 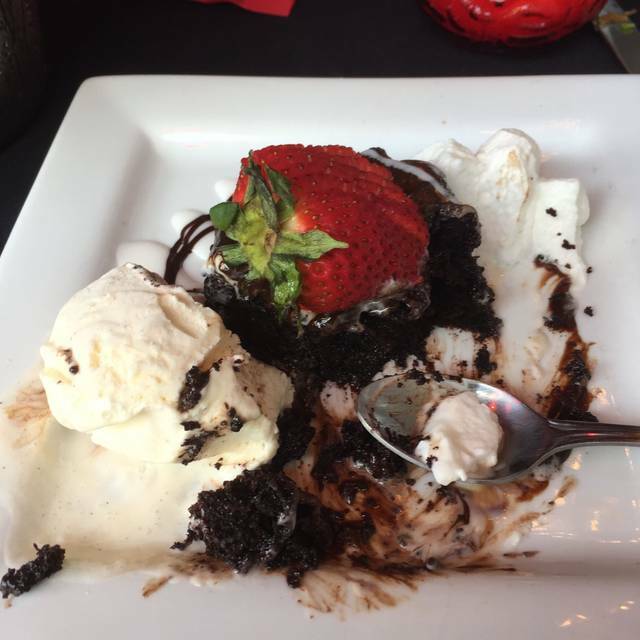 For desert I had the molten chocolate cake. It came with vanilla ice cream as well as fresh berries and two separate drizzles. Outstanding! And so worth the calories. Only criticism is I enjoy hot coffee with desert and they only offer iced coffee. I have found my new favorite restaurant in St. Augustine. Amazing second time coming here and it was just as good if not as better than the last time!